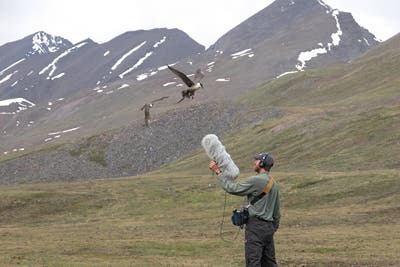 Researchers at Cornell University’s Lab of Ornithology have, for the past century or so, recorded, collected and compiled the most extensive animal sounds library in the world. Called the Macaulay Library, it features 150,000 recordings of 9,000 species, including three-quarters of all known birds to science. Besides chirps and squeaks, you’ll also find bear roars, primate calls, and blue whale songs. Now, Cornell reports the whole library was finally digitized and all the database put online for free use.